Heralding a new phase in his artistic life, Glaswegian producer Vince Watson introduces his new alias ‘Quart’ with the cinematic masterpiece ’Life Is Beautiful’. Vince has laid a trail of musical breadcrumbs leading to the ‘Quart’ sound throughout his 20 year musical career; sublime, peaceful and melodic moments which shone out, even amongst his impressive dance music productions. 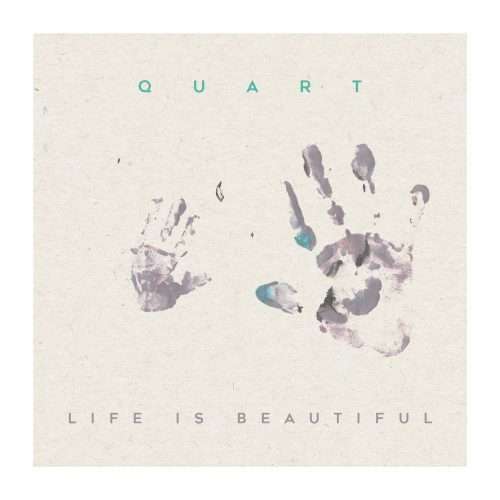 Tracks like ‘Solitude’, ‘Never Too Late’, ’Every Soul Needs A Guide’ and his ‘Serene LP’ all hinted at an ethereal alter-ego behind Watson, but ‘Life Is Beautiful’ sees Quart emerge from the shadows to stand alone for the frst time. Quart takes its name from ‘The Watson Quartet’, which as Vince explains “was me playing everything anyway, so it’s now simply been reduced to Quart”. This explanation perfectly refects the project’s musical aesthetic; Vince has clearly been through a creative process of reduction and distillation to reach the uncluttered calm of ‘Life Is Beautiful’. At times displaying shades of Ludovico Einaudi, at others showing fashes of 4Hero, Vince’s free-fowing piano playing and natural ear for melody stand out throughout ‘Life Is Beautiful’, while fans of his house and techno output will be pleased to fnd Vince Watson’s unique sonic fngerprints all over the album.